ROSTOV-ON-DON, April 15. /TASS/. 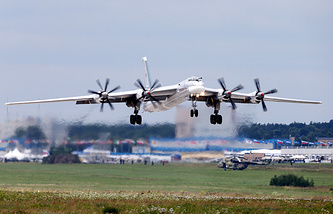 The Taganrog-based Beriev Aircraft Company has delivered two upgraded Tupolev Tu-95MS strategic missile-carrying bombers to Russia’s Aerospace Force, the Company’s press office said on Monday. 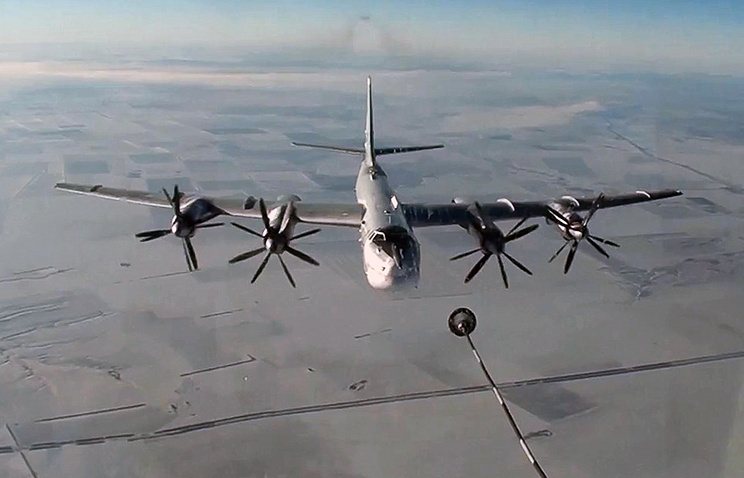 "The Beriev Company has handed over modernized Tu-95MS aircraft to Russia’s Aerospace Force. This month, the Beriev has delivered two Tu-95MS planes to the crews of long-range aviation after major repairs and modernization," the company’s statement reads. "On April 11, a Tu-95MS with Side No. 24 made a flight to its airbase. On April 13, a Tu-95MS with Side No. 19 flew to its airfield," the company said. The major repairs and upgrade of Tu-95MS long-range missile-carrying bombers of Russia’s Aerospace Force increase their service life, the press office said. The Taganrog-based Beriev Aircraft Company (part of Russia’s United Aircraft Corporation) is the developer of new aircraft and aircraft prototypes and serially produces planes of various designation. The Beriev manufactures Be-200ChS amphibious planes for Russia’s Emergencies Ministry and special aviation platforms for the Defense Ministry of Russia. The Beriev Company also repairs Tu-95MS bombers of Russia’s Aerospace Force, Tu-142M, Tu-142M3 and Tu-142MR of the Russian Navy’s aviation.